After six hours of debate, close votes and failed motions, Hamilton's downtown transit lane is still alive. But it will likely die next week when the entire debate is re-opened at a council meeting. After six hours of debate, close votes and failed motions, Hamilton's downtown transit lane is still alive, but may not live for much longer. 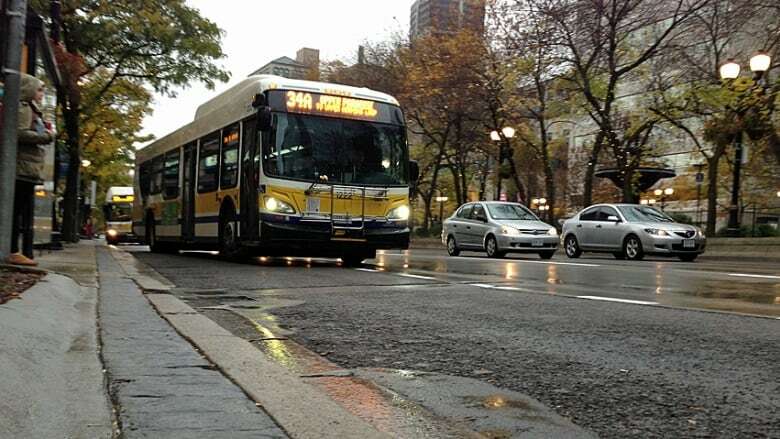 City councillors debated killing the transit lane, a pilot project identified as a precursor to light rapid transit (LRT), at a general issues committee meeting on Wednesday. There were moves to stop it, suspend it and save it with modifications. But after hours of discussion, a deeply divided committee couldn’t make a decision on it. Coun. Chad Collins pledged to bring back his motion to kill the lane at a council meeting on Jan. 21. And with only the mayor and four councillors pledging solid support for the lane, the lane appears unlikely to survive. "The pilot project has failed,” said Coun. Scott Duvall of Ward 7 on the Mountain, who says his residents want it gone. A staff report, presented Wednesday by new transit head David Dixon, recommended keeping the lane with modifications to make it run smoother. Dixon will meet with Metrolinx head Bruce McCuaig on Friday to discuss the organization's plans. He also plans to present a 10-year transit plan to councillors on Feb. 6. "We’re not getting anywhere with what we’re doing right now, so why the hell would we keep doing it?" But the fractured committee couldn’t agree to do that either. "I read from the report that it’s actually creating more problems than it’s solving," said Coun. Terry Whitehead of Ward 8. He conducted his own poll, he said, and sampled 2,056 residents. It found that 60 per cent were against the lane. The city hopes to get a piece of $15 billion in provincial dollars earmarked for transit. Specifically, it voted in 2013 to ask the province for full capital funding to build a $1-billion LRT system from McMaster University to Eastgate Square. Electrifying the GO service is the province's highest priority, city manager Chris Murray said. There will be steep competition for whatever money is left. The transit lane is identified as a precursor to rapid transit. Coun. Tom Jackson of Ward 6 says he doesn't think eliminating the transit lane will impact Hamilton's bid for some of $15 billion. "I refuse to believe eliminating the transit-only lane will jeopardize provincial money," Jackson said. Coun. Sam Merulla of Ward 4, a fan of LRT, disagreed. “They’re going to say we’re not going to give you a cent because you guys don’t know what you’re doing," he said. Hamilton should be ahead of the curve, he said, and "this will be hurtful to us in the future." Coun. Maria Pearson of Ward 10 in Stoney Creek, a regular transit user, agreed that "by shutting it down today, we're basically saying we're not interested in any of this." The vote came Wednesday because the bus lane was meant to be a one-year pilot project running from October 2013 to October 2014. The Oct. 27 municipal election deferred the scrutiny of it. The staff report said that during afternoon peak hours, the lane delays car traffic by five minutes. It also said collisions increased slightly during the pilot period, but that the pilot period was too short to identify trends. The report says the three general purpose lanes carried 1,190 vehicles during morning rush hours. By comparison, about 1,104 passengers were in the transit-only lane. Collins says he heard during the campaign that residents are tired of it. He unsuccessfully introduced a motion in December to have officers stop enforcing the lane. The report "clearly states" that Hamilton doesn't have enough transit riders to need the lane yet, he said. "We're not rapid ready right now." The transit lane, Dixon said, is really about deciding what kind of city it wants Hamilton to be. To "technically" warrant the lane, he said, transit ridership would have to be 2,000 people per direction, per hour on the city's busiest route. Currently, there are about 1,100. But the transit lane is part of offering reliable, timely service, which draws new riders, he said. "You have to choose whether to make Hamilton, at an extreme, a city where you can live without a car." If Collins’s motion passes next week, staff will remove the signs, stop enforcing the lane and eventually repaint the street, which the city says will cost about $100,000. It has spent $160,000 on the project so far using part of a $30-million Metrolinx grant. Coun. Brenda Johnson of Ward 11, a critic of the bus lane, was away. Partridge, a Flamborough councillor who is also a transit lane critic, was away for part of the meeting.